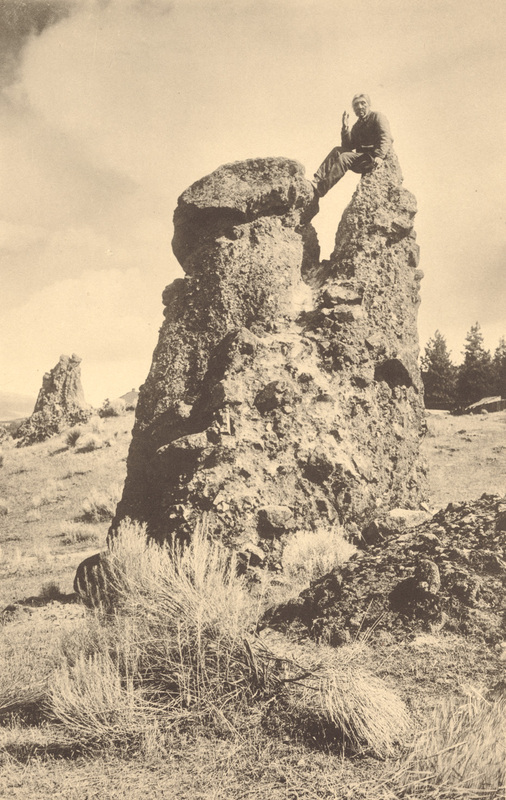 Here's Benjamin Gifford's classic view of Pulpit Rock in the Dalles. We saw it earlier in this image. Great the rock has been preserved, anyone know if the plaque still exists? The plaque was there a couple of years ago when I last drove by. The current rock looks much smaller than the original. Truth or false? nel, I think most of what you're seeing is the difference between the very wide angle lens of Google Streetview and Gifford's camera. I've seen the same effect with pictures of the Pillars of Hercules. They look tiny when you drive by, but the photos make them look enormous. Thanks Arthur. Must detour up there to check it out. For those that aren't aware, Pulpit Rock is located close in proximity to the Wascopam Mission location. Pulpit Rock was a place that early Methodist missionaries preached to the local indians in the 1830's and 1840's. Even in 2017 the intern preacher at the 1st Methodist Church and also with the help of the Zion Lutheran Church preached a sermon on Pulpit Rock to commemorate the 179the anniversary. He even wore period clothing and arrived riding a horse. I agree that photos make it look larger than it's actual 12 feet. Charlott, you mention in the previous Pulpit Rock photo that you have connections to the Hines family. I have a book which is made up of the diaries of Hines family members as they travel the Oregon Trail out here to The Dalles and on to the Willamette Valley. as of 9/12/2018 the plaque is in place...photo sent to Arthur. the rock is impressive in both size and location. glad The Dalles folk have preserved this piece of history. another good lunch at the Baldwin Saloon...…..